Wait. Constructive messages why be anonymous? Sarahah - an anonymous messaging application that was sensational among netizens a few weeks ago. 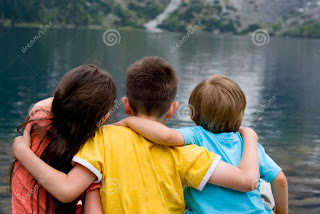 Screenshots flooding social networking sites, eyes going agog for new message notification, mind raring for more and more, it appeared as though it was the need of the hour. 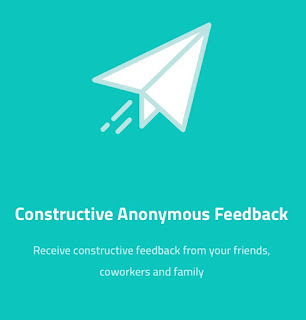 "Sarahah helps you in discovering your strengths and areas for improvement by receiving honest feedback from your employees and your friends in a private manner"
To me, it is plainly "anyone can say anything to anyone and get away with it", be it any anonymous messaging platform for that matter. Now, why do we use it in general? The last one was fun. I found some amusing snapshots on my FB wall.😄 Sharing one such tongue-in-cheek jest below. 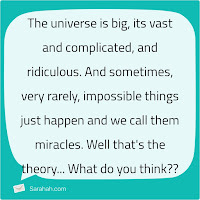 But take a serious look, why Sarahah otherwise? Saying "You have a great voice, it was a pleasure listening to you!" or "You can do this better" in person makes a significant difference, don't you think so? Every artist needs recognition and that is better done in person any day. Abusing/bullying/insulting someone is not justifiable in the first place. 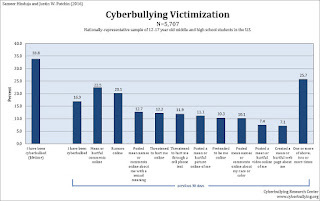 Picture below shows some frightful reports from 2016 cyberbullying data. Rule of thumb: Never drift from your standards. Keep up your virtues even if you choose anonymity. Come on, you think you have so much time to spend on messengers? Get real. Life is short. Don't be cowardly and go anonymous. Why not confront with charisma? Do not propose anonymously, never just because someone is beautiful. Remember, beauty is only skin deep. Character lasts. Well, aren't these the values that add beauty to our lives? To me, they absolutely do. Every soul longs for the slightest signs of love and affection. We never get tired of kindness, do we? At the end of the day, the people you meet and be with in your lifetime are all that you have. Why not keep your circle happy? Why not take time to appreciate the goodness you come across? Why not make someone smile? Why not help someone be strong again? Why not embrace the differences and co-exist? Why not show up for real and do all these? "You are beautiful", popped up in my phone. Flashing a brief smile, I carried on. A message after a few days read "You are cute but stop exhibiting". I smiled again, this time at the false audacity of someone without a name and face calling me an exhibitionist. 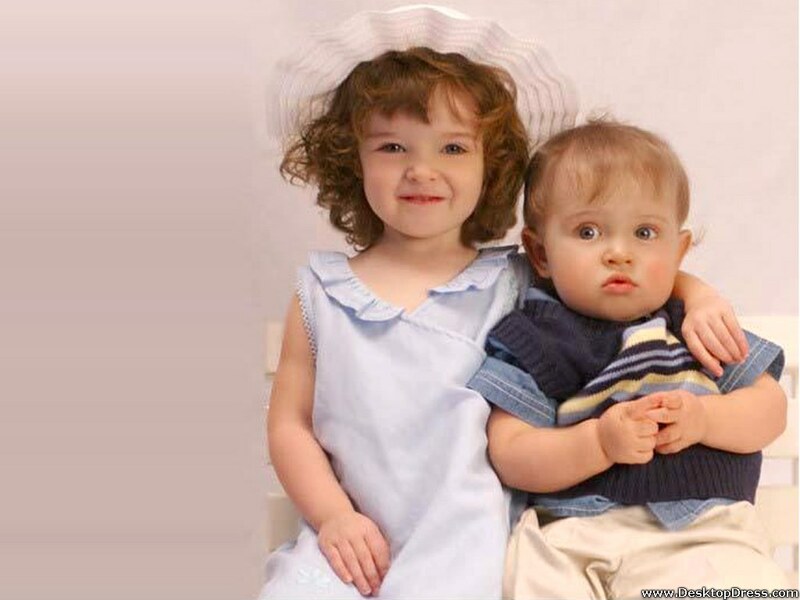 Another sent "You are the love of my life but I never had the guts to tell you". Period. This one had me chuckling along with my husband and dear son. A few more notifications and I uninstalled it. A faint heart never won a lady. 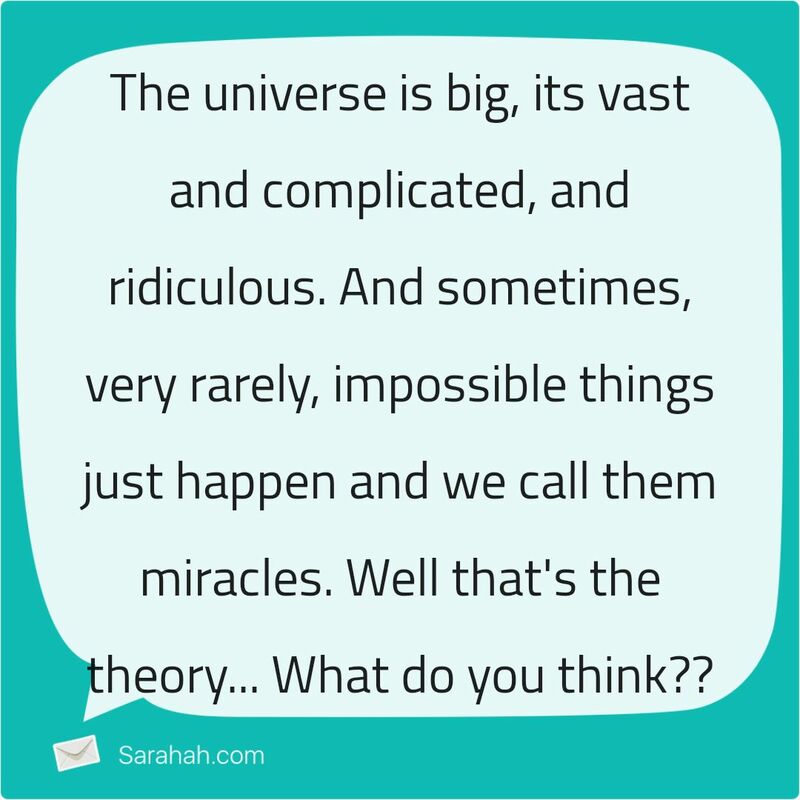 You are one, Sarahah. Good bye. Besides all the pettifogging with loved ones, amidst trying to organise myself or unravel the purpose of my life yet again, being surrounded all over by the household clumsiness, beginning of my weekend was no less than a big-time mess up. There was just no staying power in me to set things right on that sluggish Saturday morning. Pointlessly staring at my phone which did not beep as per my wish anyway, I somehow bumped into the talented humour buff Mr. Alexander, an Indian stand-up comedian. This guy cracked me up and transformed my then hopelessly torpid state at once. 'Trichur brother's Music, Matar paneer, Alex's humour and some quality family time' - I am happy. Revived and reminded to explore my 'half-forgotten' abilities or at least resume my not so long ago routine. 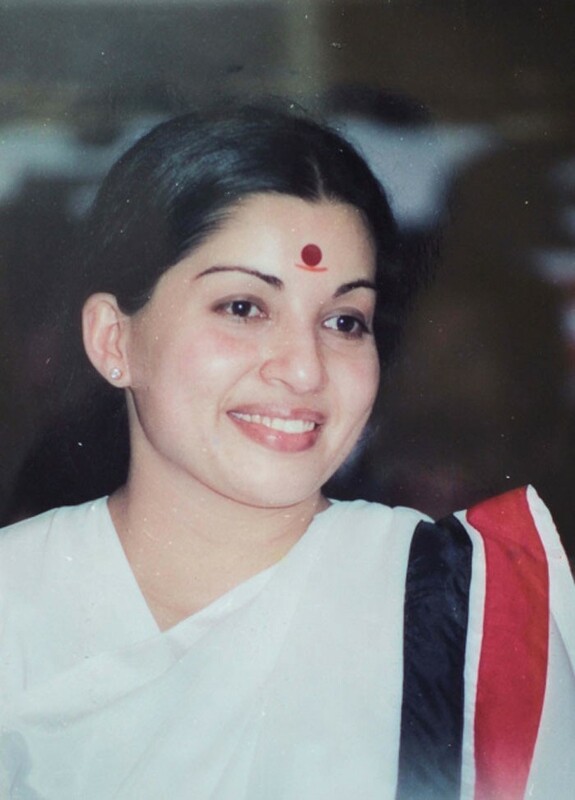 உன் உறக்கமே அமைதி நிறைந்தது என! 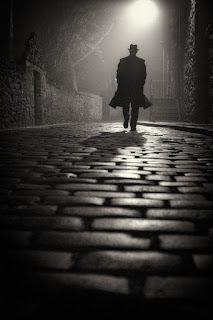 From the pitch-darkness emerged a skinny tall mysterious man - Mr. Myst. Our otherwise loosey-goosey night stroll paused for a minute when Mr. Husband (K) and I saw a stranger sharing the lonely dark street with us. Mr. Myst quite suspiciously paced towards us; casually whistling a strange tune which somehow sounded deceiving to me. Nevertheless, K found everything absolutely fine and hence we resumed. The silent street was bordered on both sides by houses fast asleep already. At almost a 50-feet distance from Mr. Myst, I was only growing skeptical, wondering if we should walk further or take an alternate route. Unfortunately, we did not have a choice as I saw the other route creepier with all the lights off and the damp muddy path leading to even more darkness; making me unwillingly step forward with the sweet memories of our delightful evening flashing back in my mind - in a way reminding me of how precious time and life are. It was a long awaited get away to the calm, serene, nature-kissed landscape carrying charismatic sky high mountains - Queen of hills, also called as Udhagamandalam! - were all that the majestic city left me craving for. But yes, with the onset of hunger, our minds were washed out of every thought other than that of food. K put on his jacket in a minute when I was carefully peeping out of the glass window to check if the cool breeze would spare us that evening. Soon after stepping out of the room, undeterred by the spine-chilling weather, we revelled in a lonely-lovely walk on a beautiful road surrounded by greenery and vibrant flowers. The soul-stirring aura instantly animated us despite K and I being majorly hunger stricken. Our tired strolls turned into crazy running on the pavement which continued until our fun chase ended at A2B (Adyar Anandha Bhavan). Without uttering a word, we kept eating until our stomachs ached. Later did we realise that it was already 11 PM & most part of A2B was already shut down. It was only then we heeded the dead silence of the chilly deserted roads outside. Deciding not to go back via the beautiful lonely path we took earlier as it was unsafe that late, we took the road less traveled by with an exaggerated swagger as K was all proud about his GPS. No later than an hour we understood that utmost reliance on GPS can make one a hapless victim any day. Yes. Our mobile GPS failed miserably in guiding us and we ended up in a daunting human-less(at least at that moment) alien street. My fears were growing for K's safety and mine as I heard the fast treads of Mr. Myst approaching us. To my shock, I had a faint yet certain view of Mr. Myst carrying some kind of a weapon tucked behind him - hidden visibly on purpose. Chilling me to the marrow, I heard my own pounding heart beats and at once clenched K's arm tight. K, who was equally puzzled, without losing his cool reassured me that there was nothing to worry; but I was not convinced this time. In the blink of an eye, Mr. Myst walked up close to us, still maintaining his fishy whistles. I failed to cope with my unexpected adrenaline rush as we saw his half-hidden weapon unveiling into a terribly huge killer hammer. Gasping in horror at the very sight, I almost suffered a panic attack; tears tripped down my eyes and I involuntarily hurried K to move away from the danger we caused ourselves. There was no more reassurance from K as he was even more horrified than I was and fretted about not being equipped to save me/us. All the saneness we thought we possessed made us stand helpless in front of a terrifying stranger, proving us to be unwise in every aspect. Yes, the next few crucial seconds could have been a bizarre nightmare as stated above or may be even worse, had Mr. Myst attacked us in real. As luck would have it, Mr. Myst was in deed a good man who hid his hammer from us as he did not want to scare his fellow companions on the lone street. He was apparently whistling in order to comfort me & my frightened senses. Oh yes, Mr. Husband was/is always right. Everything was actually fine. Mr. Myst simply walked past us in a split second, not even acknowledging us. We then literally ran out of the street and by god's grace met an autowala who dropped us back safe. While in the auto, we sensed a much needed comforting pin-drop silence as we were limping back to normalcy - regaining our senses - lost in our thoughts. K and I exchanged a weak smile thanking all the goodness we came across that night. In an hour, my perception of the supposedly romantic empty road in an unfamiliar place totally changed with my thoughts grown more mature and rational. 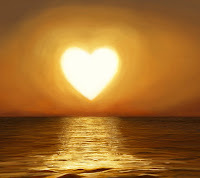 Before I slept that night, I sincerely thanked god for his abundant blessings on us and jotted down all the indispensable life-lessons from that scary night. 1. Thumb rule: Safety first. "You are your prime responsibility", unquestionably. Be totally aware of the situation and always be on high alert. 2. Take complete care of yourself and don't ever put yourself at risk unnecessarily. 3. Do not stay out late at any cost. Prepare your trip schedule well ahead of time. 4. Always carry things to protect yourself at any point of time. Eg: Pepper spray, small knife etc. 5. Do not completely rely on anything. Especially your GPS, at an unknown place; it can be misleading. 6. Force yourself to be discreet. 7. Do not hesitate to ask for help when required. 8. Make it a point to learn a new life-skill whenever possible. 9. Be prepared to face anything that might come your way. 10. Do not ignore your instincts. What is it like to have one hell of a Bro-In-Law? How grateful would you be if your B-I-L plays prank on you like a friend while there is also an eternal invisible 'mother-son' bonding you both share! What a terrific feeling it is to have a great human being alongside, always! Often we meet people who are so engrossed in everyday chaos; most of them are lost with the wind. Sometimes, we acquaint people who seem inspiring and are passionate about making a difference in their own lives. But rarely do we meet someone like him, who makes an impact in everyone's life every passing day; making you feel good about yourself. He is someone who gets a good bunch of friends wherever he goes; though this is no surprise - having him around is always fun and the time spent with him is ever worthwhile! For a newly-wed I was, before almost a year, I remember how nervous and emotional I was when my parents left me alone after marriage in a house filled with new people, speaking different language, curiously gazing and trying to have a conversation with me believing it would ease my discomfort but ending up making me cry. Of course, Mr. Husband's shoulders were a rescue that gave me slight relief. But then came this person with his comforting smile and all cool gesture towards me - the new comer in the family, obviously making a huge difference from Day 1 till now & forever. I was in deed unaware that the hours of laughter we shared over actually nothing significant would then become great memories to muse over, growing the warmth of our beautiful relationship. And, it would not be nice of me not to mention about his ridiculously disastrous horror short-film 'IS IT' which never fails to make me LOL when I think of. :D Today I am here, suddenly realizing how 'empty' it would have been without this sweet little idiot in my family who can be nuts as well as make complete sense! This person can be so 'amazing' that he can make all his friends send along their lovely wishes to me with their sweet 'Akka! Akka!' calls on my birthday, just to make me feel special. சூரியன் அஸ்தமித்தான் - மறுநாள் மதிமுகம் காண!